This past weekend was my birthday and I have always wanted to go Archery shooting. 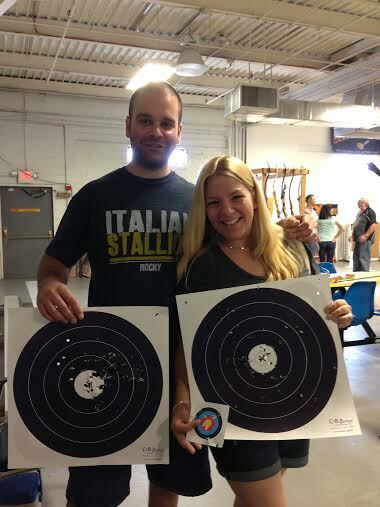 My husband and I were both first time archery shooters and we had an extremely positive experience at C & B Archery in Hicksville, NY. I called a couple of days in advance and spoke to a friendly staff member who scheduled our first time lesson for Saturday. 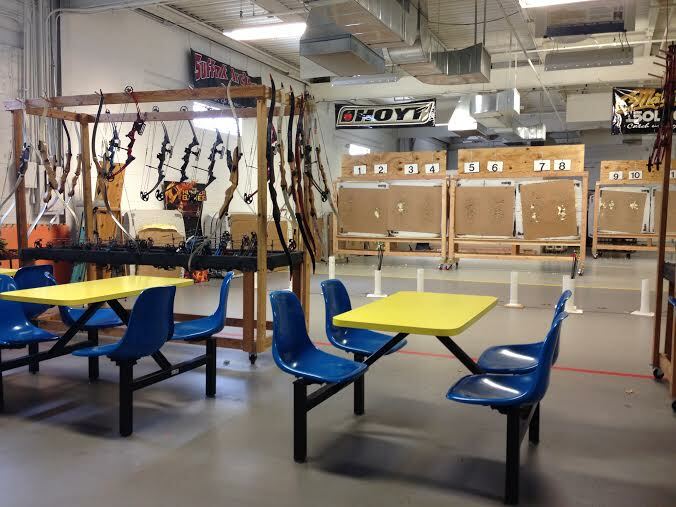 The cost was $26.00 per person and it included the half hour private instruction/ lesson and an hour of range time, bow rental and paper targets. It was a great deal. Dennis was our instructor and he was an amazing teacher. He told us he has been shooting for over 40 years and loves it. Both my husband and I could see why. Archery is a fun sport for kids (ages 8 years old and up) and adults. We were on the range shooting with kids and experienced shooters and everyone was enjoying their time at C & B. 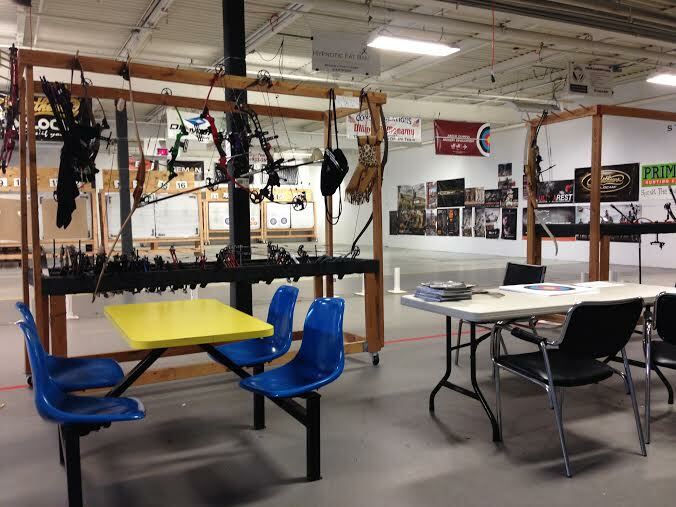 At C & B Archery you can be taught individually or in small groups by a professional who loves this dynamic sport. 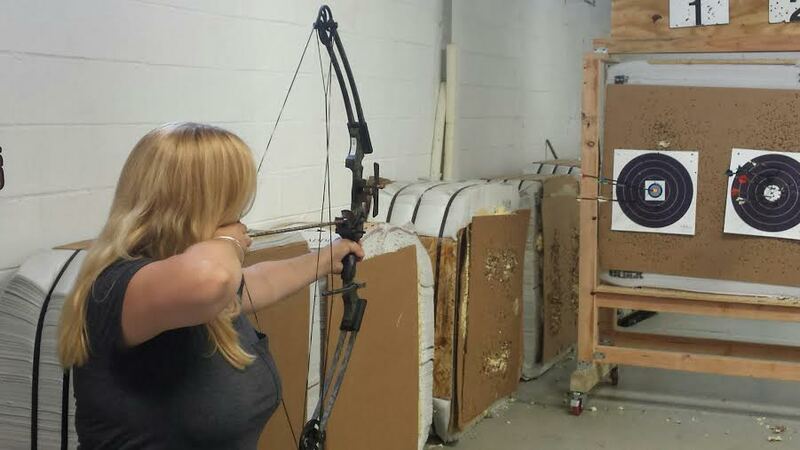 On your first instruction you will be taught about the compound bow and the recurve bow. The compound bow I loved shooting because it has sights and is easier to aim. 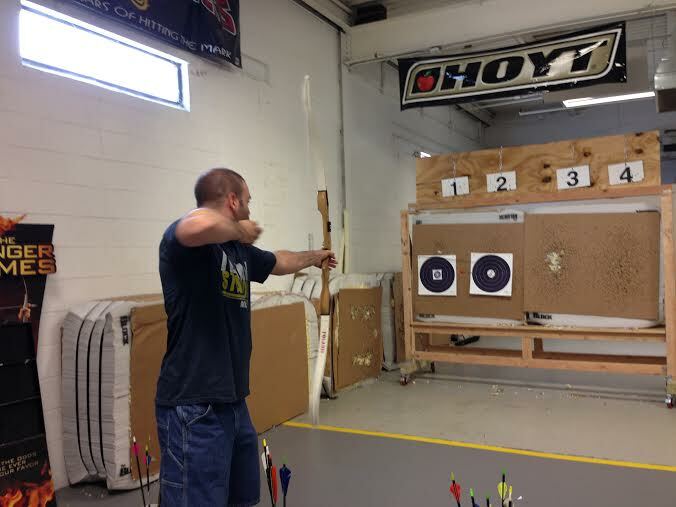 The recurve bow “robin hood bow” is a lot trickier because there are no sights and you have to aim with both eyes open. You will get to try both too if you like and see which you prefer during your first lesson. What I was so surprised about was how much my arms did not hurt after shooting because like Dennis taught us you are using more of your pectoral muscles and shoulder muscles. And of course I was using a beginners bow. We will definitely be back to shoot again and we highly recommend using C&B Archery. 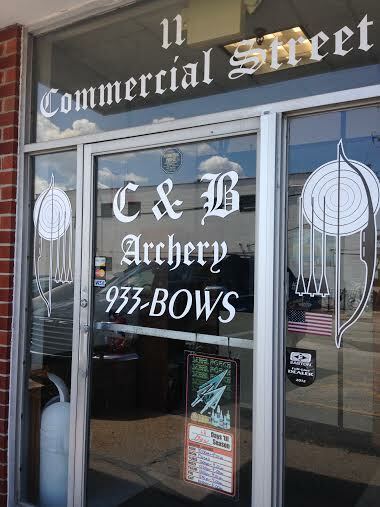 C & B Archery is also a retail store and accommodates parties. 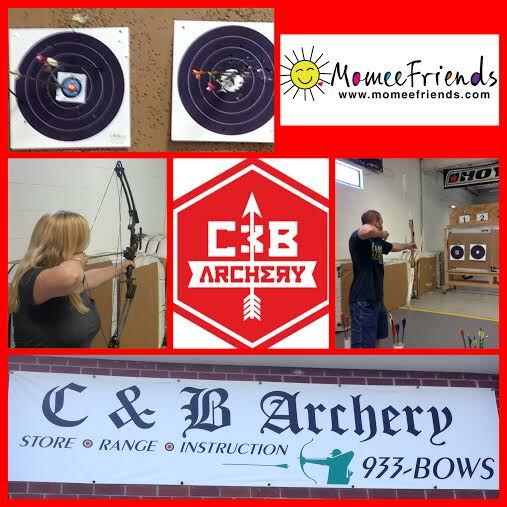 Momee Friends of Long Island highly recommends C & B Archery.